Bacteria that become resistant to antibiotics lead to an estimated 23,000 deaths and 2 million illnesses per year in the U.S. The Centers for Disease Control is launching an expansive effort to study various facets of the growing threat by funding researchers across the nation, including two prominent water experts at Virginia Tech. 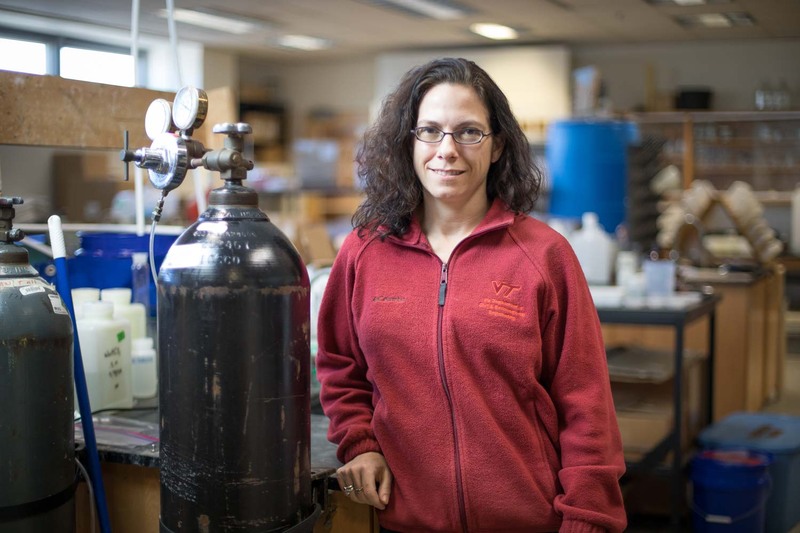 The CDC recently awarded two contracts to study antibiotic resistance in recycled water and in plumbing to Amy Pruden and Marc Edwards, both professors in the Charles Edward Via, Jr. Department of Civil and Environmental Engineering in the College of Engineering at Virginia Tech. Pruden and Edwards received the noteworthy contracts as part of the CDC’s wider effort to address emerging public health priorities. The work Pruden and Edwards are set to conduct for the next year falls under one of the CDC’s 10 major research areas of interest surrounding disease control. Both will focus their efforts on antibiotic resistant pathogens and resistance genes in water systems. Amy Pruden (Photo by Peter Means). Specifically, Pruden, the W. Thomas Rice Professor in the Department of Civil and Environmental Engineering, is leading an effort to examine the issue in the context of wastewater reclamation, also known as water recycling or reuse. Water recycling is necessary to maintain sufficient water supplies for commercial, industrial, agricultural, and residential needs. While the purification systems must meet very high microbial reduction standards, these standards do not specifically address removal of antibiotic resistant organisms. Pruden’s project will explore the opportunity to intentionally design wastewater treatment and reclamation processes as a barrier to the spread of antibiotic resistance. Her team will partner with Kang Xia, a professor in the School of Plant and Environmental Sciences at Virginia Tech, and V. Jody Harwood, professor and chair of the Department of Integrative Biology at the University of South Florida, to examine a range of markers of antibiotic resistance through local water reclamation facilities treating water for reuse purposes. Post-doctoral student Emily Garner and civil engineering graduate student Ishi Keenum round out the research team. The researchers will track a range of antibiotic resistant pathogens of concern and identify which water treatment and disinfection processes are most effective for their removal. They also plan to examine the potential for new strains of resistant bacteria to evolve during wastewater treatment through the use of advanced next generation DNA sequencing and bioinformatic tools that have been developed at Virginia Tech in collaboration with Liqing Zhang and Lenny Heath, associate professor and professor, respectively, in the Department of Computer Science at Virginia Tech. 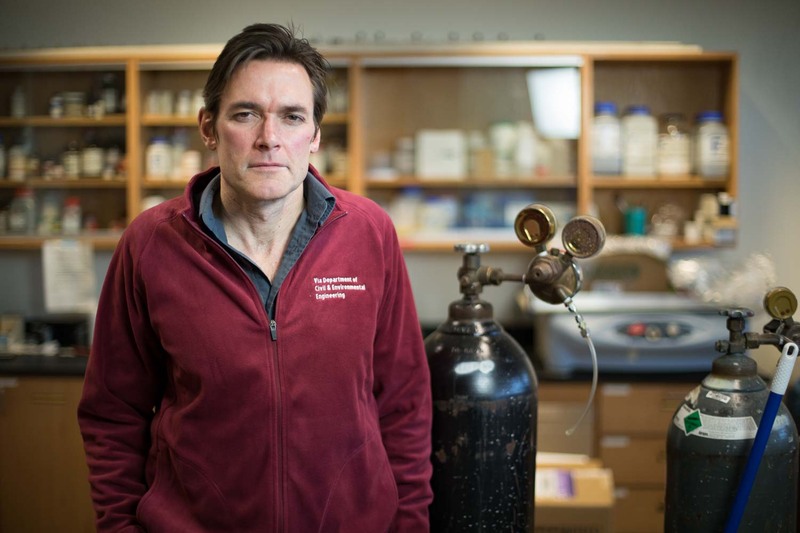 Edwards, a University Distinguished Professor, serves as principal investigator for a project examining the plumbing and potential for pathogens to colonize the drinking water systems in hospitals, which face an added risk of infecting susceptible populations. Along with Pruden, civil and environmental engineering graduate students M. Storme Spencer and Abe Cullom, and Virginia Tech biological sciences professor Joseph O. Falkinham III, Edwards and his team will deploy a novel pipe bioreactor system for simulating building plumbing that was developed by Spencer to rigorously test the effectiveness of disinfectants, like those used in hospital plumbing. Because the parameters for killing antibiotic resistant bacteria are poorly defined, there is a need to identify which disinfectants are most effective, while also avoiding the possibility that the disinfectants themselves kill off the competition for resistant bacteria and promote survival of more resilient antibiotic resistant bacteria. The team will compare chlorine, chloramine, chlorine dioxide, copper-silver, and no disinfectant in terms of their ability to control pathogens and biofilm in a range of pipe materials including copper, plastic, and iron.